BARCELONA, August 29th 2016 – Doctors are expert observers. Medical education involves an ongoing tuning of the skills of attention and observation required for good medical practice. Such skills are incredibly difficult to teach however. It is a challenge to create learning environments in which novices learn to notice the big and small differences that are important for diagnosis. Other expert observers deal with the same challenges. A wine critic must learn to distinguish between vintages, a perfume maker between scents. Drawing inspiration from these other fields of sensory expertise, and the recent surge in art appreciation and creative writing classes in medical schools, we are as a team in the midst of an exciting collaboration with the Art and Heritage Commission at Maastricht University, the SkillsLab in the medical faculty of the same university, Marres and other arts and university departments, to organise a multisensory training workshop for medical students. This workshop, which will take place as part of an elective on the role of art in medicine, stems from existing collaborations across these sites, and previous experiments, such as the workshop that Anna organised for medical educators attending the annual European conference AMEE, Barcelona (28th August – 31st August 2016). This AMEE workshop was part of the now annual AMEE Fringe event, which proved very popular, with hundreds of participants. Anna set up 12 tables in total for the workshop, each focusing on a difference “sense” (although of course distinguishing them apart is a false exercise, but helped delineate out some exercises for the 15 minutes Anna had for the workshop!). There were tables with: wine odour smell kits; different Rooibos teas to taste; a learning to listen exercise; paintings to find differences between; and clays and plasticines to make pinch pots. The aim of the workshop was to help participants attend to differences that they might otherwise not notice; to find ways to articulate these experiences; to consider how such exercises might be introduced in medical schools; and to reflect on the skills of observation that are required for medical practice. After a short introduction by Anna introducing the exercises and aims of the workshop, participants gathered around a chosen table or the one they were sitting at. There was a roving mike capturing thoughts and reflections. The participants seemed to be enjoying themselves and many said afterwards that they liked creatively engaging with what it means to observe and articulate sensory differences. Some participants told Anna it was an inspiring sensory training exercise which would use with their own medical students. 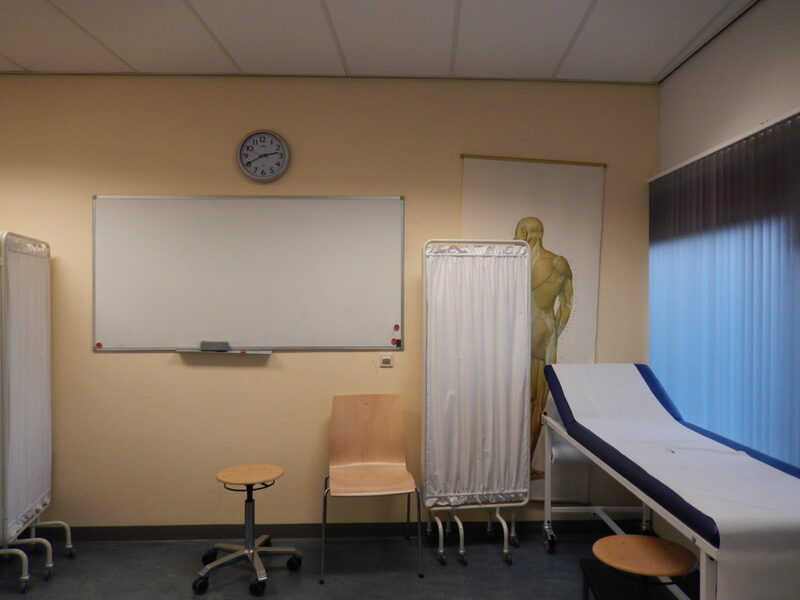 We are looking forward to the workshop with Maastricht medical students in June and will report back on our experiences later in the year. Harris, Anna and Flynn, Eleanor (2017) Medical education of attention: A qualitative study of learning to listen to sound. Medical Teacher 39 (1): 79 – 84.